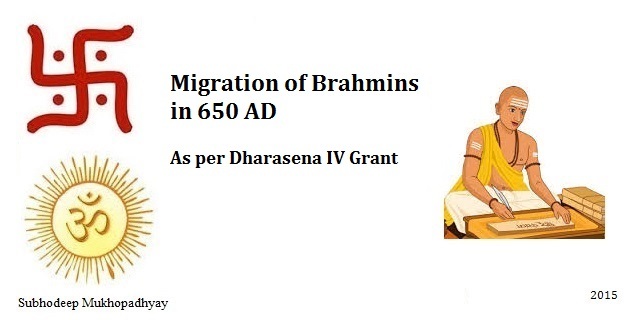 In this post I will talk about the migration of Brahmins as per Dharasena IV Grant in 650 AD. Dharasena IV belonged to the Maitrika Clan of Valabhi region of Saurashtra in Gujarat. As per the Dharasena IV Grant of 650 AD, Dharasena IV granted a village near Thasra in Gujarat to a Brahmin Narayanamitra (Sanskrit: नारायणमित्र , Bengali: নারায়ণমিত্র ), son of Keshavamitra ( Sanskrit: केशवमित्र , Bengali: কেশবমিত্র ) from Vadnagar in north eastern Gujarat (incidentally the birthplace of Shri Narendra Modi, the Prime Minister of India). Thus in 650 AD, Gujarati Brahmin, Narayanamitra migrated from Vadnagar in north eastern Gujarat to Thasra in south eastern Gujarat as per Dharasena IV Grant. Thanks for your time. 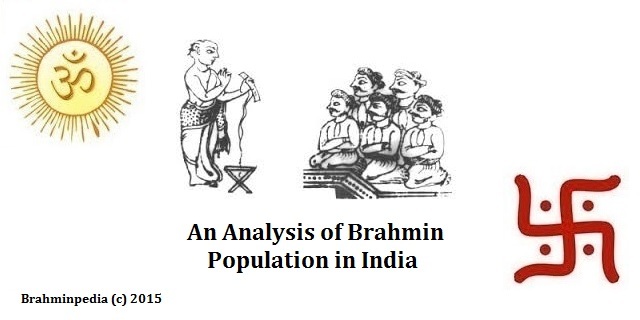 Hope you enjoyed reading Migration of Brahmins as per Dharasena IV Grant in 650 AD. Please feel free to leave your comments and do share this post with those who might find it useful.